A good person is as common as a black swan! Thanks Ailsa, I’m hoping to embrace a bit of minimalism now that the Festive Season is over. I love your reasoning that the conversation would have been very different, had it taken place in Australia!! Some overseas friends visited a year or so ago and they found the black swans very curious. They seem so normal to me now I have to remind myself people in other countries have never seen one. Again, your interpretation of the theme is very unique. I, too, am happy to be returning to a more minimal lifestyle. Heidegger, Heidegger was a boozy beggar. Who could think you under the table. There’s nothing Nietzsche couldn’t teach ya’ ‘Bout the raising of the wrist. John Stuart Mill, of his own free will, On half a pint of shandy was particularly ill.
Plato, they say, could stick it away; Half a crate of whiskey every day. This is why they couldn’t get their heads around black swans! Now that is the most devious way I have ever done a song plant. Quite unintentional but love the response. Thanks Rach. I love swans almost as much as pelicans. Nothing like winding up a house and a Christmas all in one month to make one tired. I just had Christmas and that was wearying enough. Mr T wondered about the relevance of black swans to the theme of minimalism, and I sadly had to admit there was little. Imagine their surprise when they saw the opposite happening in Australia. How we’ve got so many black swans here (and some white too of course). I hope you had a Merry Christmas Francesca! The philosophical discussion reminds me that the understanding of our own life is based on our experiences. 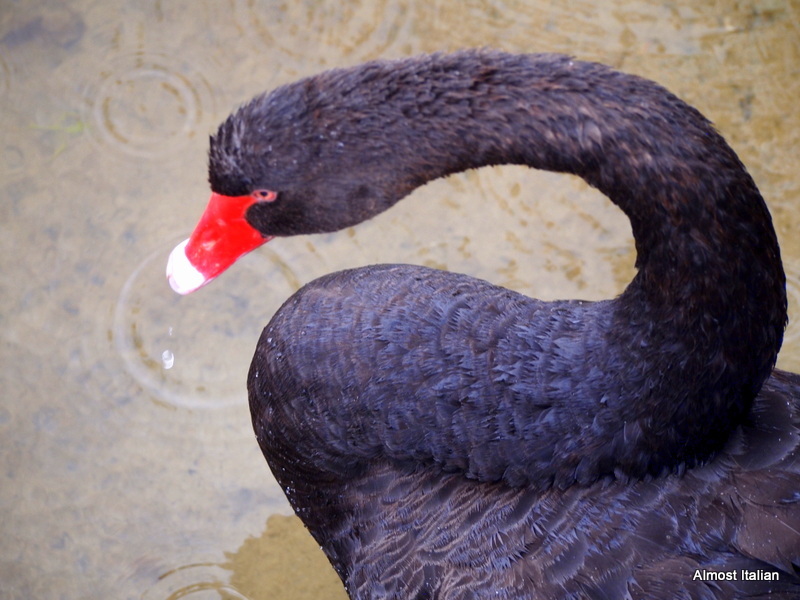 If we only know of white swans we can easily believe that black swans are mythical creatures. If we only know of our own little patch we can easily believe that the way we do things, our beliefs and customs are the only way. Thank heavens for travel and the internet to link us to a world beyond our own. Thanks Anne, and all the best for the coming year. It is true. We are defined and limited by our experience. What intense beauty in a minimalistic movement of a neck entwined with the red and black colors. Love them and could watch them all day. Previous Previous post: Sweet Inspiration. Mango and Coconut Upside-down Cake. Next Next post: Melbourne for kids. A cheap day out on foot.